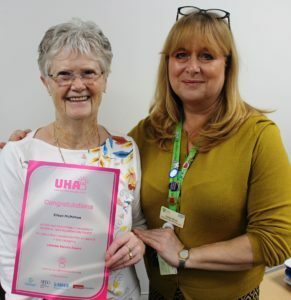 One of the Luton and Dunstable University Hospital’s (L&D) longest serving volunteers, Eileen McMahon, has been shortlisted for an Unsung Hero Award in the Lifetime Service category. Eileen has been a volunteer at the L&D for nearly 45 years, offering NHS skin camouflage treatment for patients who suffer from debilitating skin conditions, disfigurement or scarring. Living with a visible disfigurement can pose a serious emotional and psychological challenge. Many people experience feelings of being self-conscious and may have low self-esteem, some even have to come to terms with being stared at and ridiculed or bullied. Skin camouflage can transform lives. Using her skills and experience, Eileen supports not just adults, but children too, patiently and diligently sharing her expertise, recommending products and teaching patients how to apply the prescription makeup and creams. This reduces the prominence of their condition, and gives them more confidence to face everyday life. Eileen was nominated by Voluntary Services Manager Karen Bush who said: “Eileen is so empathetic, kind and caring and offers a unique service to our patients, including those with cancer. She has contributed enormously and given her time so freely. She also volunteers as a Skin Camouflage Practitioner for the charity ‘Changing Faces’. She truly changes lives not just faces. Eileen began volunteering 45 years ago with the Red Cross, providing beauty therapy services and massages for psychiatric patients at the L&D Hospital. 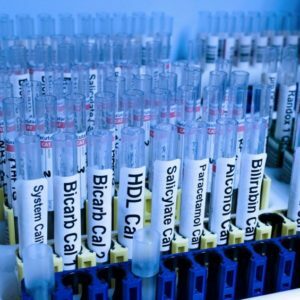 This service was considered an important and beneficial part of their treatment by their doctors. 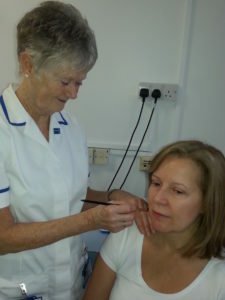 Eileen would visit all of the pharmacies around Luton asking for samples of makeup and then used them on our patients. She went on to help the Red Cross establish similar clinics in three other towns. Three years later, in 1977, Eileen was asked by the Red Cross to attend a training course in London to become a qualified skin camouflage practitioner and has been supporting our patients at the L&D ever since. 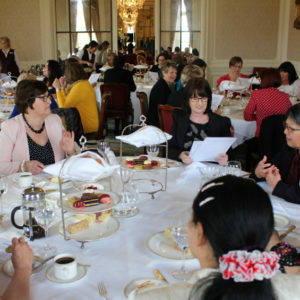 The winners of the Unsung Hero Awards will be announced at a gala dinner on 1 March.